As one of Ireland's best loved golf courses Fota Island Golf Club, twice host to the Irish Open, has three distinctively challenging championship golf courses set amongst beautiful parkland scenery. 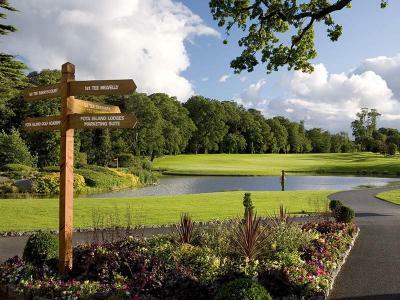 Surrounded by tall oak trees, bathed in peace and quiet, Fota Island Golf Club also has the comfortable Clubhouse, the extensively stocked Pro Shop, and Fota Island Golf Academy. Overnight bed and breakfast at the luxurious five star Fota Island Resort. Spend the night in one of the many lavish rooms within the resort and experience the challenge of champions upon one of three championship golf courses at fota island resort, host of three Irish Opens. The course challenges length and skill whilst subtly showcasing the beautiful landscape on display.